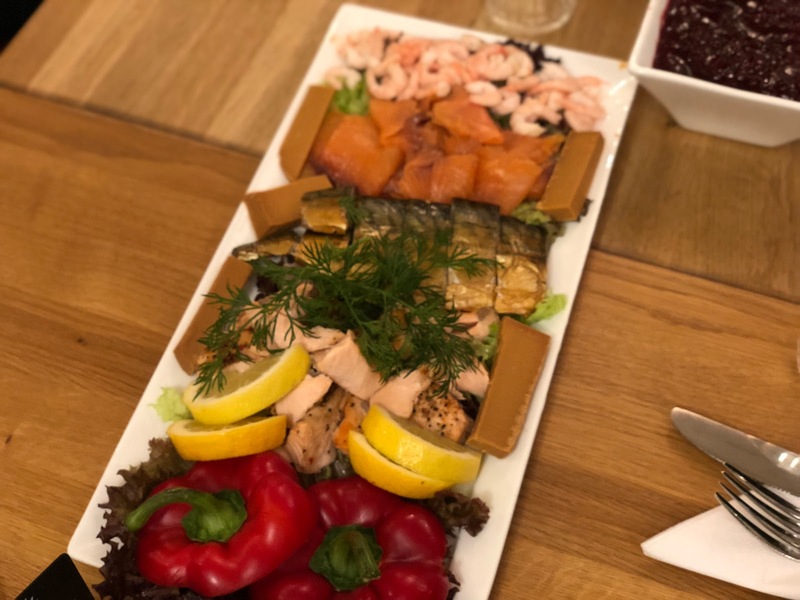 Following on from our food tour outings in Lisbon, we took to Oslo and couldn’t let the opportunity pass to do another. The Culinary Deluxe Food Tour, led by fantastic guide Jean-Pierre, led us to four different local spots, all with a fascinating history and tremendous food. We allowed ourselves to get comfy in Kaffistova as to our surprise we’d be having a second, this time hot dish in the wonderful restaurant. We had a choice between a number of dishes, however most of the 10 strong group chose a reindeer meat dish with vegetables and potato. 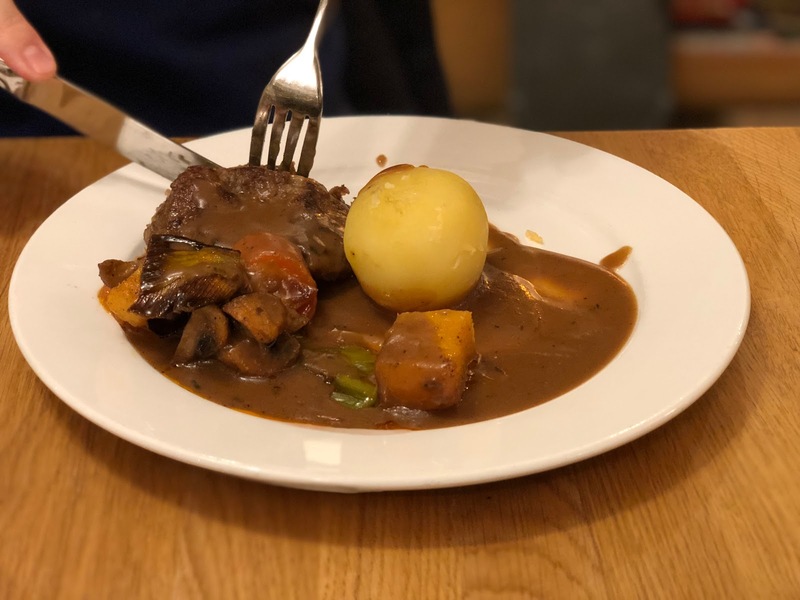 Reindeer, or venison as its better known as in the UK is hugely popular in the Nordic regions and was extremely tasty and tender. 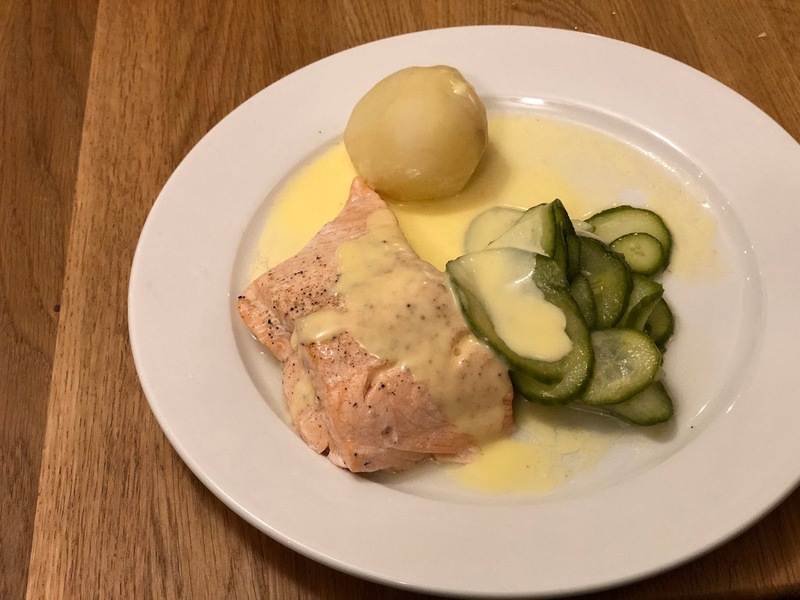 Jessica was that taken by the salmon tasted as part of the starter, that she opted for it again as a main, this time with cucumber, potato and a delicious sauce. Again the fish was divine and cooked to perfection – it pretty much melted in the mouth. Not only were we having an education in Norwegian food, but their culture as a whole. Next door was a Bunad store. Bunads are traditional clothing Norweigians wear on important occasions – they are extremely old fashioned, and crazily expensive! But interesting, non the less. Not only did we learn about that but the time that someone attempted to blow up parliament buildings, and how different life is for prisoners in Norway compared to anywhere else. All we’ll say is they are treated like kings and are evidence that there is too much money in the Norwegian economy! Despite being French, our guide had impeccable knowledge of the city and country. After having a starter and main, we were excited to see where our dessert stop would take us. 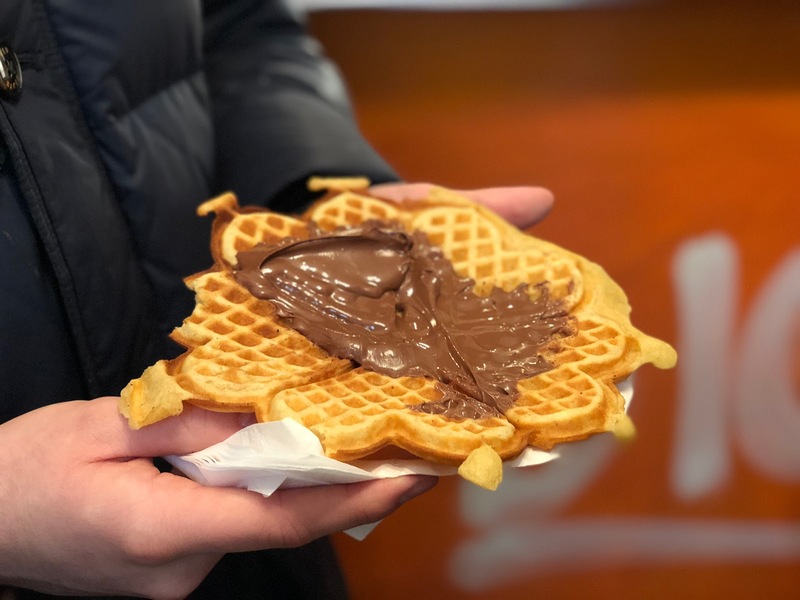 On the high street is a tiny, and we mean tiny waffle shop where we all had a choice of toppings between Nutella and strawberry jam. As always, we got one each and shared the delight of both. They were freshly made in front of our eyes and the black coffee gave us the energy for the long walk ahead. Oslo has trams everywhere, and we came to realise on the first day that they are very expensive to use. Luckily, we had our tickets paid for by the tour which took us to a quarter of local restaurants and markets. From there we took a lengthy walk in treacherous conditions, and used our Swedish counterparts who were on the tour to give us an education on how to walk on thick ice. Jessica had tears, I tumbled twice but in the end, we made it to our next destination! We arrived at an amazing indoor food market with every Scandinavian cuisine on offer. But we were here for only one thing… cheese! 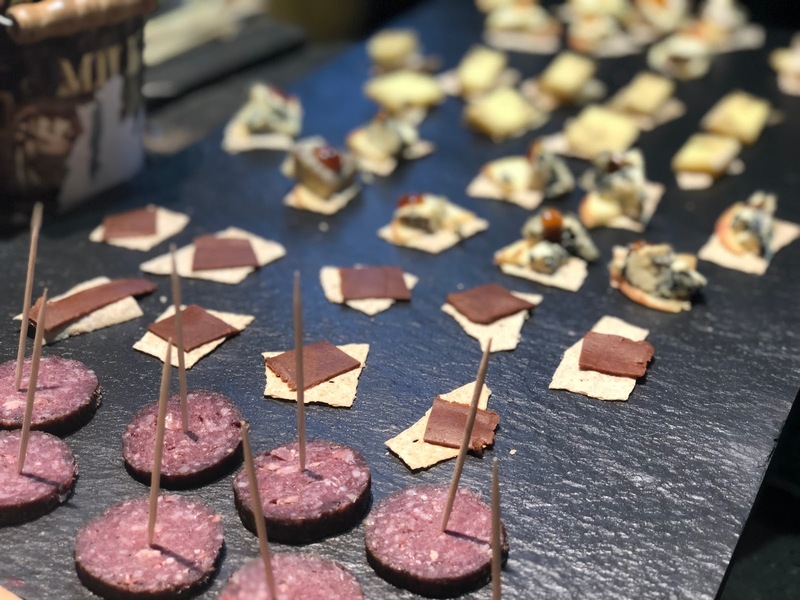 We sampled several Norwegian cheese and bread bites, some strong, mild, white, blue and a delightful fig marmalade. But the one that stood out from being most unique was their brown cheese, which is famously and exclusively Norwegian. It is made on a wood fire to allow it to caramelise and the sweet taste comes from it being over-cooked. It’s quite unusual, perhaps fudge like in taste but definitely not like cheese as we know it. We couldn’t come to Norway and not give it a try though! And finally, we ended the tour in a small bar not far from where we started the tour. 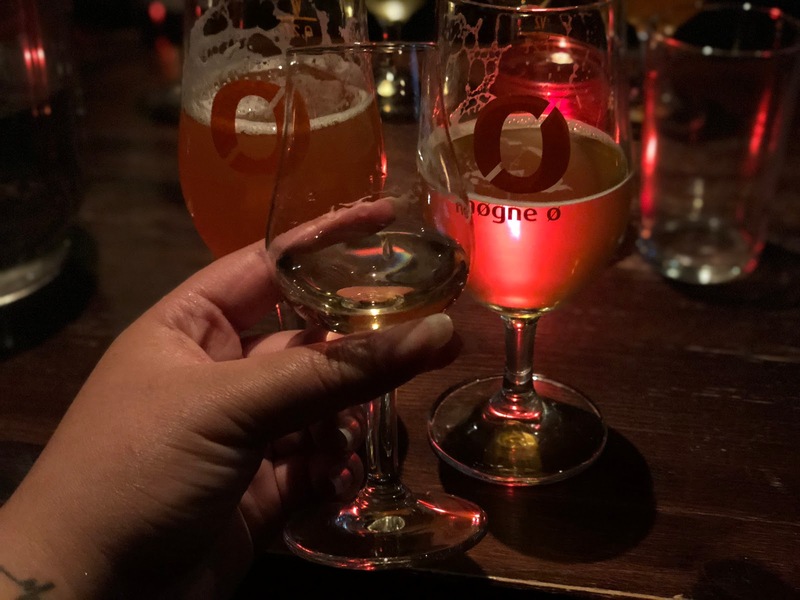 We enjoyed three different local beers – a blonde pale ale, a stronger seasonal beer and finished with an incredibly smooth IPA. Despite the tour technically coming to an end and Jean-Pierre having to say his goodbyes, the entire group stayed behind and got to know each other better for a good part of the evening. Along with fellow Brits, Irish, Swedes, and an American we talked about everything from Netflix series’ to the different country cultures around the table. As always, the food was fantastic, but the company was what we’ll always remember the most from doing tours like this. 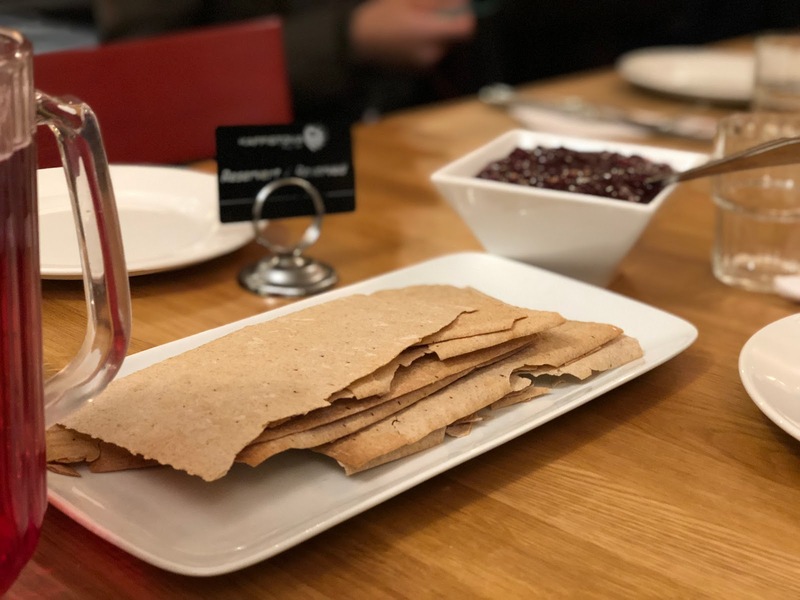 We had the most amazing afternoon and fully recommend the Deluxe Food Tour to anyone looking for not only the best local food, but general local knowledge and a lot of fun! A massive thank you to our fantastic guide and all at Trip2Scandanvia! Disclaimer: we were given complimentary tickets to the Culinary Deluxe Oslo Food Tour in exchange for an honest review. Hi, your food tours look and sound amazing. I have food envy at the moment and so wish that I could tick into a large waffle with chocolate sauce. Maybe I should get my waffle maker out tonight.